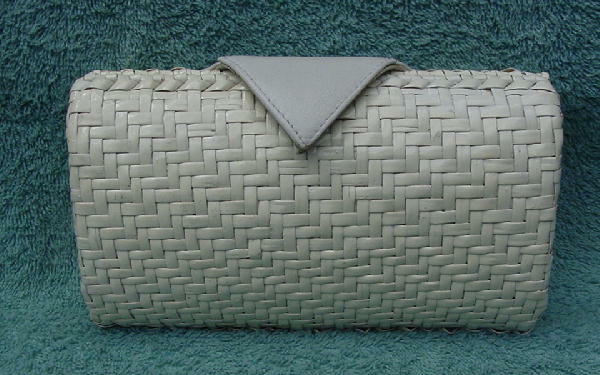 This vintage straw purse is by Charles Jourdan. The painted straw is now an offwhite color (because of its age). The white leather V front flap has a hidden magnetic closure. The back has 5 white leather panels with silver-tone metal studs on each. There is a bronze-tone back textured panel (probably plastic) under the 5 panels. 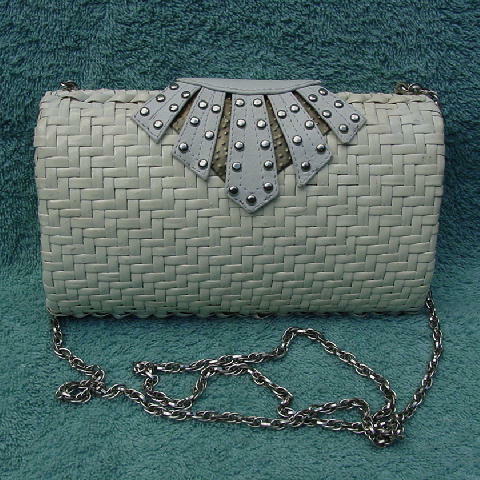 It has a very nice multi-link silver-tone 44" long shoulder strap which can be tucked inside and carried as a clutch. 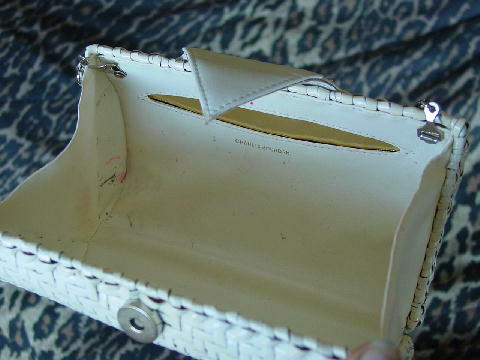 The white leather lining has black (ink and/or eyeliner) marks and dark pink makeup marks. There is a gold lame leather-lined open interior pocket. She carried it as a clutch to two different Cannes Film Festivals and wore it with the shoulder strap when she went clubbing while modeling in Milan.